Get ready for the world to turn to chaos! The clash of a Shiny Mega Gyarados, and Mega Scizor will brink the world to the brink of destruction, and only all 5 new BREAK-evolution Pokémon can stop them. As Espeon-EX and Manaphy-EX try to bring peace to the world, will Ho-Oh-EX be able to avert destruction? The second of the XY BREAK series is coming out soon! I think that this set will help bring back metal type Pokémon and encourage water type users. Mega Gyarados is like Keldeo-EX, but better. Manaphy- EX gives it a free retreat, and Greninja-BREAK can do Giant Water Shuriken for 60 damage Each Turn! Not to mention Golduck-BREAK, who is like Aromatisse, but can transfer any kind of energy! As for Metal Pokémon, there aren’t many of them, but M Scizor-EX will get the job done in no time at all. 2 Metal energies for 120 damage, and a special energy or stadium discard?! Now that’s my kind of Pokémon. What about Ho-Oh-EX? Now there’s one strange Pokémon. 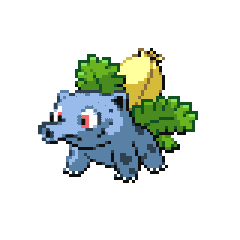 A Colorless type, but requires Water, Fire, Grass, and Lightning energy. Its ability is the main cool thing. If any Fire energy is attached, you can heal 50 damage from it each turn. Do you remember the cards like Poké Blower + and Poké Healer +, where you could play 2 at once and the effect would be better? You may play 2 Time Puzzle at the same time. If you played 1, look at the top 3 cards of your deck and put them back on top of your deck in any order. If you played 2, put 2 cards from your discard pile into your hand. Also, do you remember Elixir? Look at the top card, if its an energy, attach it? Well, 2 words. Max Elixir. Look at the top 6, choose 1, attach it. basicly, your odds just increased by 600%. Some other cool trainer cards are Burst Balloon, Fighting Fury Belt, and Reverse Valley. Like Parallel City, just cooler looking. In all, I think this set will be a success!